So, this post is happening slightly later than I intended (I had hoped to write it right after my last one, but that didn’t happen). Suffice it to say that our second full day in London was busy! We wanted to make sure we made the most of our London Pass, so we set out on a mission to see several things that we got free entry to. And we were successful in that mission – huzzah! 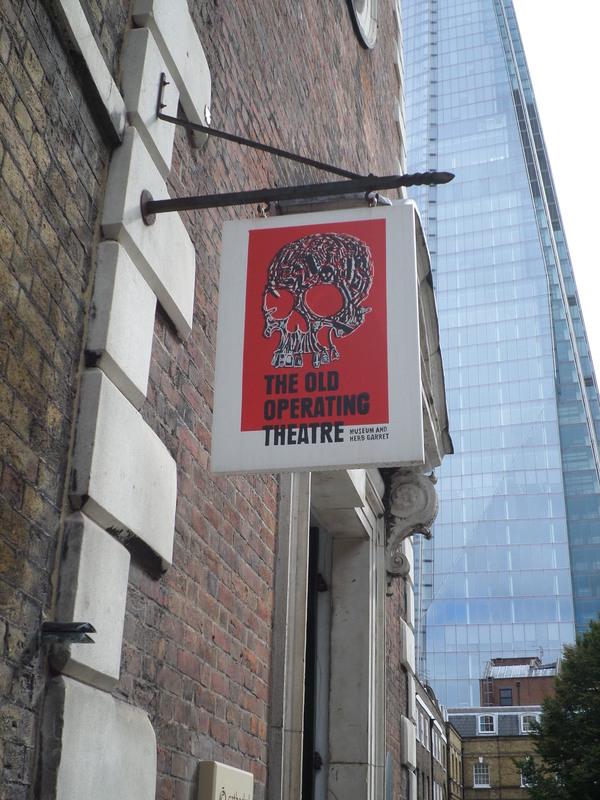 Our first stop of the day was at the Old Operating Theatre & Herb Garret. This is a place I discovered last year thanks to a recommendation from a friend of mine and I enjoyed it enough that I decided to bring Scott to it this year. It’s a small museum located in the attic of an old church (though it used to be part of a hospital that has long since been demolished). When the hospital it used to be attached to got torn down and moved, the old operating theatre and herb garret were both bricked up and forgotten about, until they were rediscovered in the 1960s. This is a great choice if you’re interested in medical stuff because it’s cool to see the old operating theatre as well as the bevvy of medical devices on display. It’s also great for kids because they can learn about some of the history of medicine. There was an elementary school group there when we were and they were having a great time! 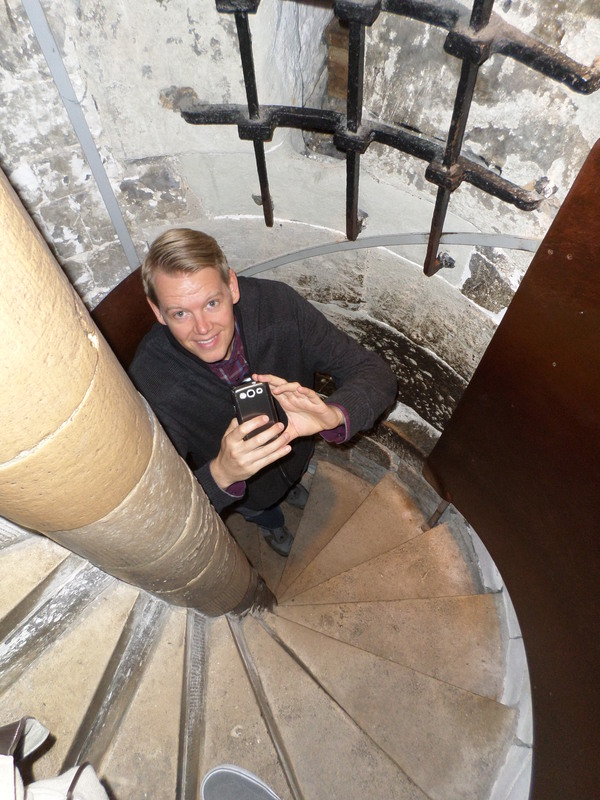 Take note though – since it’s in a former attic, you have to climb a pretty narrow, old spiral staircase to reach it. It’s not very long (about 35 stairs), but keep that in mind! 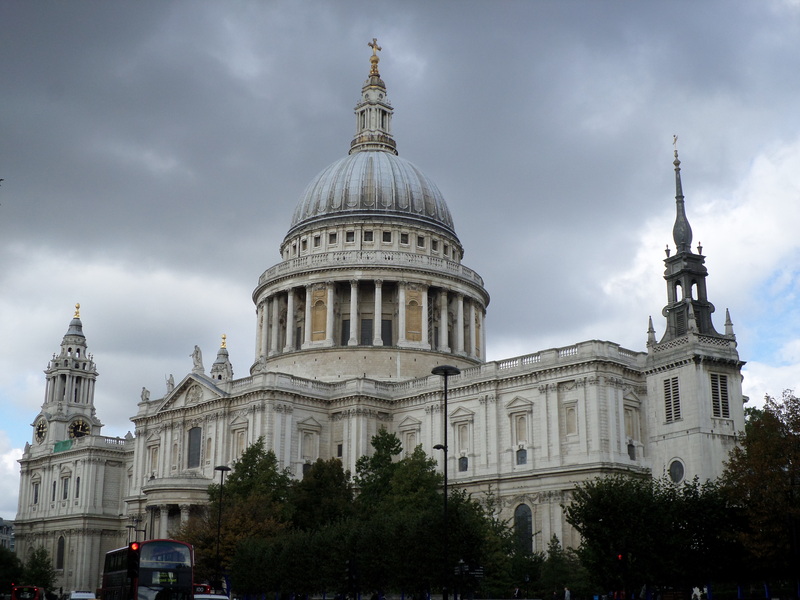 We moved onto another icon after St. Paul’s – the Tower of London! 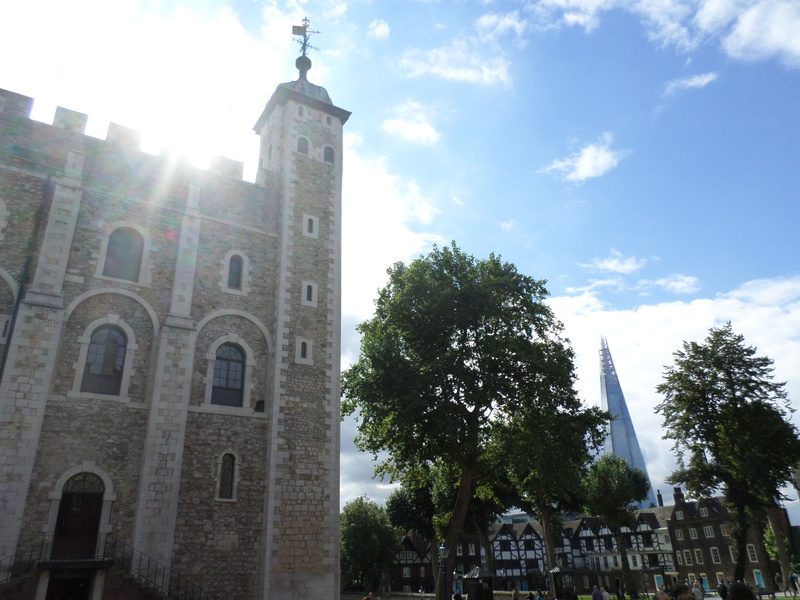 I’ve actually only visited the Tower once in all the years I’ve been traveling here, so I was happy to go again. There’s all sorts of interesting stuff here – Yeoman Warders, Beefeaters, torture devices, the Crown Jewels, and more! Coming from a US perspective, I find the monarchy stuff very interesting, so learning about (and seeing) something like the Crown Jewels is pretty cool. Although Scott and I didn’t get in on one of the guided tours this time, I did on my first visit and I highly recommend them. The Tower is a big place, so it helps to have someone knowledgeable leading you around. Don’t miss this one! We moved on to Tower Bridge next, which is just a hop, skip, and a jump from the Tower of London. 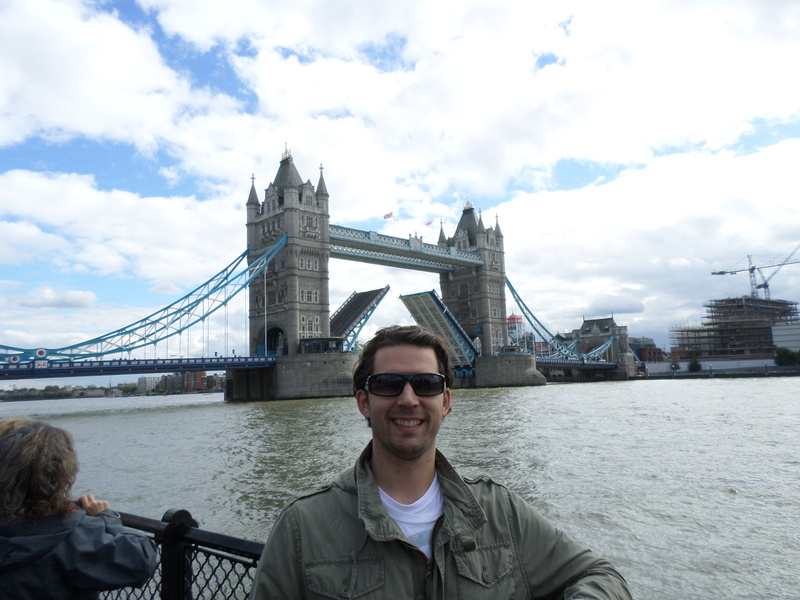 I love Tower Bridge – it’s my favorite view in London! Despite that, I’d never gone to the exhibition there, so I thought it was time to rectify that (and the fact that we got in for free with the London Pass certainly helped). To be honest, the exhibition was kind of cool, but I was hoping the walk along the top of the bridge would be a bit more open. It’s totally glass-enclosed, so you still get good views (and there are some openings you can point your camera through for better pictures). You’re also made to watch a cheesy video before the exhibition and you can get your picture taken after the walk (you can then buy the picture in the gift shop, of course), both of which probably makes this a fun one for the kiddos, but not as entertaining for me. After you see the exhibition, you’re invited to walk a short distance away to visit the engine rooms (it is a lift bridge, after all! ), but we opted not to do that. If you like bridges, check this one out, but if not, you’re probably better off just taking pictures of the bridge itself from the ground. 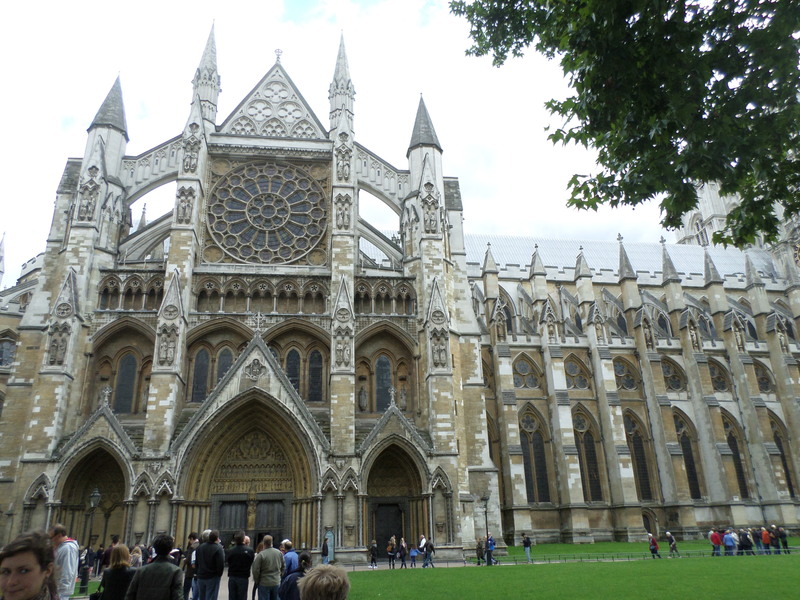 Next up was Westminster Abbey (yep, another church!). This is another place that I’ve only been to once in all my visits here, but it’s definitely worth it. At £18 though, it’s definitely not a cheap attraction, but there aren’t many churches in the world that give you an experience like this one. As with St. Paul’s, you aren’t allowed to take pictures inside (gotta buy the postcards instead), but you can sneak some in the courtyard outside the main church as well as get some great ones from outside the main entrance. Although I used an audio guide the first time I visited, I didn’t this time, but I recommend getting one when you visit, especially if it’s your first time there (they’re included with the entry ticket). This church is so huge and there’s so much to know that the audio guide is actually really useful. There are also lots of notable people buried in Westminster and the audio guide does a nice job of pointing them out. This one is worth seeing, but you may want to do it with something like the London Pass so it isn’t quite so expensive. Remember how we tried to go on the London Eye on our first night here? That was a bust, so we tried again after Westminster, but missed out again because of a technical issue with the wheel. Argh! We’re going to try again on Friday, so cross your fingers that it actually works out for us this time. 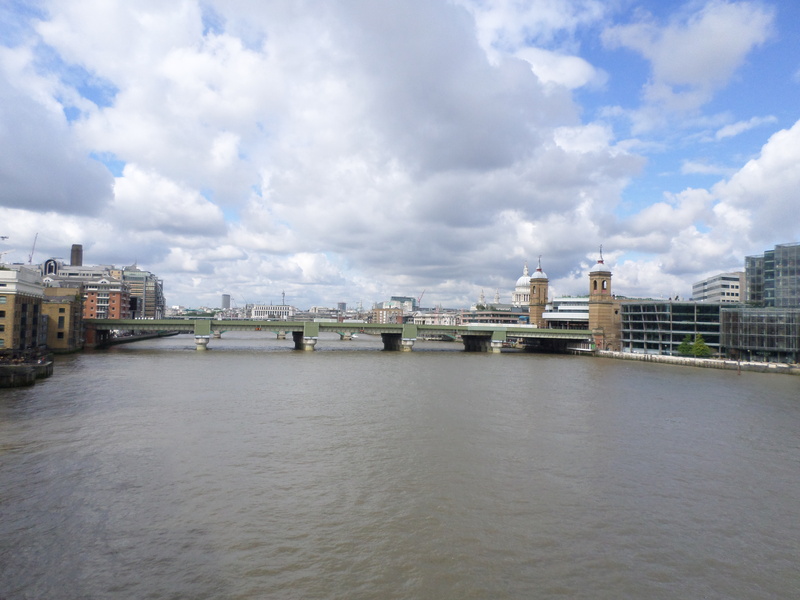 In lieu of that, we decided to use one more benefit from the London Pass – a cruise on the River Thames. This is actually a pretty good value because the pass gets you a hop-on/hop-off ticket good for 24 hours from any of the piers. I was hoping we could get down to Greenwich Pier, but it was late in the day and they were just about to stop running the boats for the day. Travel tip – if you’re going to do this, I recommend doing it early in the day so you can get more benefit out of it. The sign outside the Old Operating Theatre. 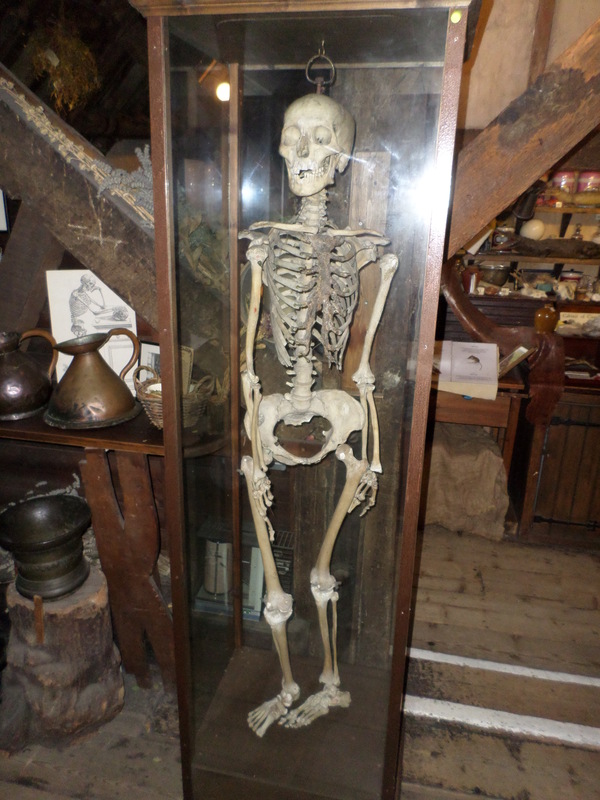 A skeleton at the Old Operating Theatre. Eek! A nice view of the city while walking to St. Paul’s. 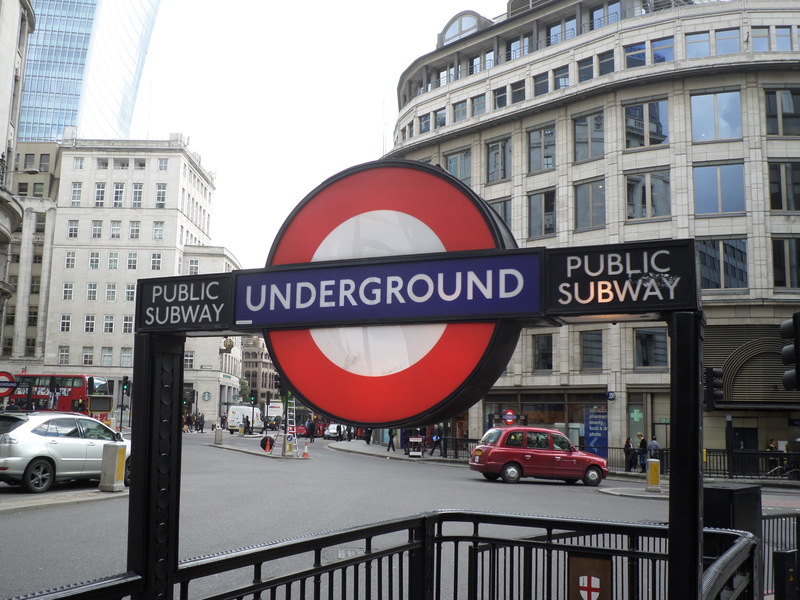 I love Underground signs! So definitively London. I really love this shot of St. Paul’s. Glad the weather cooperated a bit! 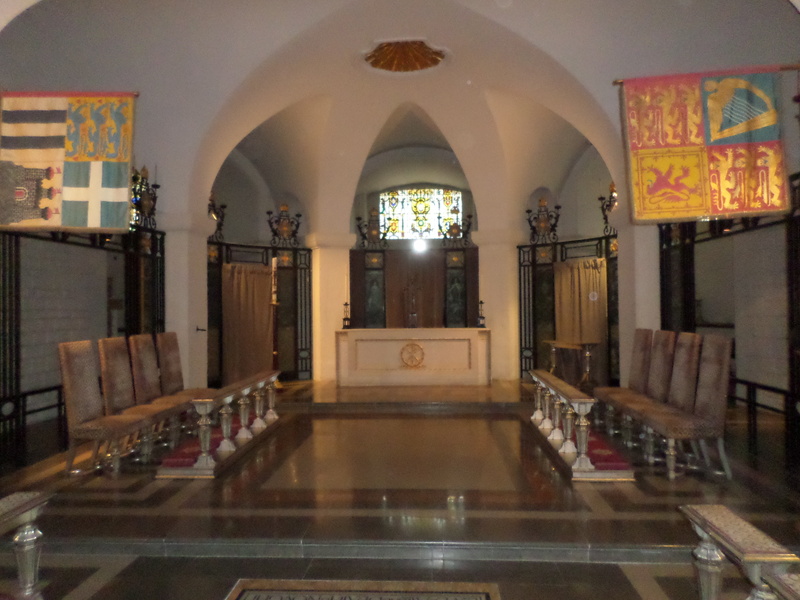 A picture from the crypt of St. Paul’s. A panorama taken outside of the Tower of London (click to see the full version. Yep, walking up more stairs, this time at the Tower of London (don’t worry – it wasn’t very many this time). 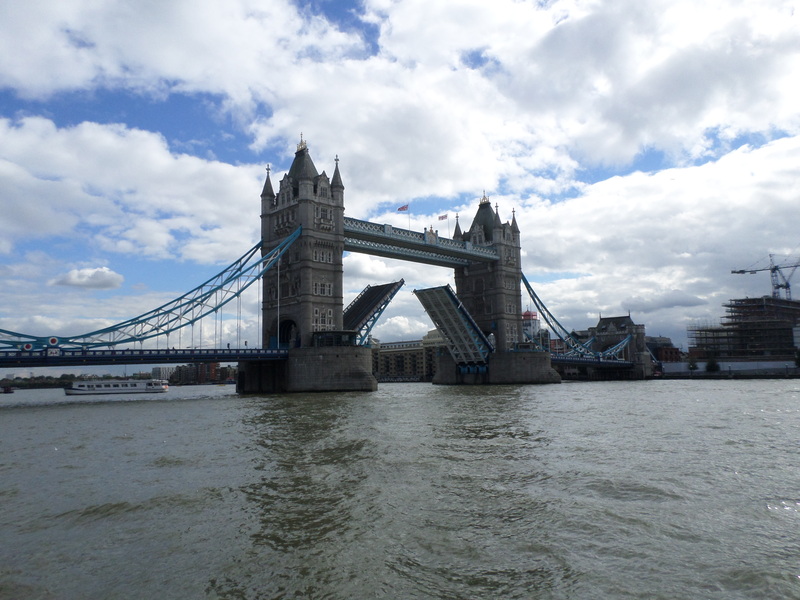 My favorite site – Tower Bridge. The bridge just happened to be open when we got there. 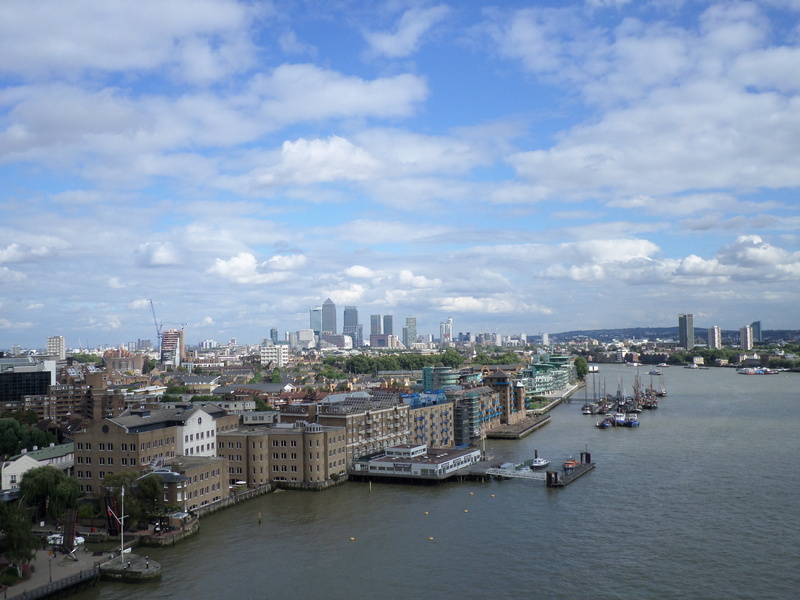 We lucked out with some sun, so we got a nice view of London from the top of the bridge. 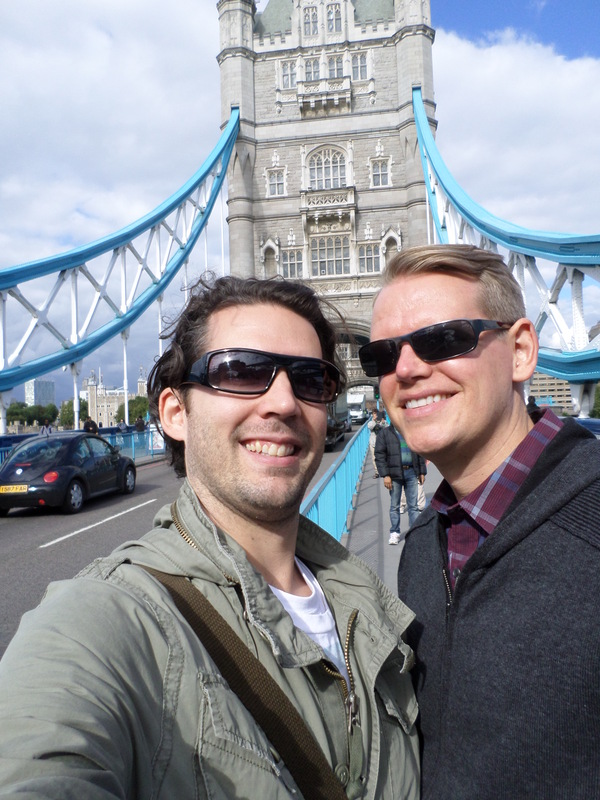 Me and Scott with Tower Bridge behind us. The main entrance to Westminster Abbey. 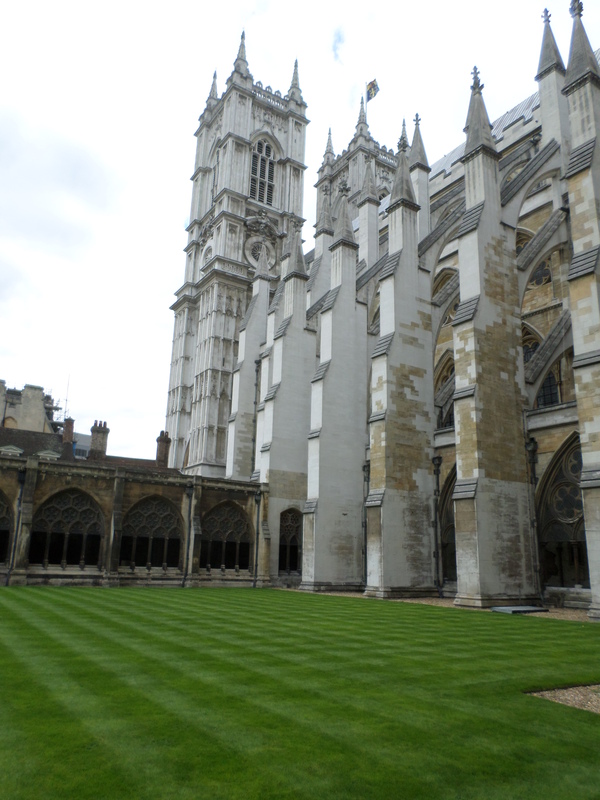 Another shot of Westminster, taken from the courtyard towards the end of the tour. 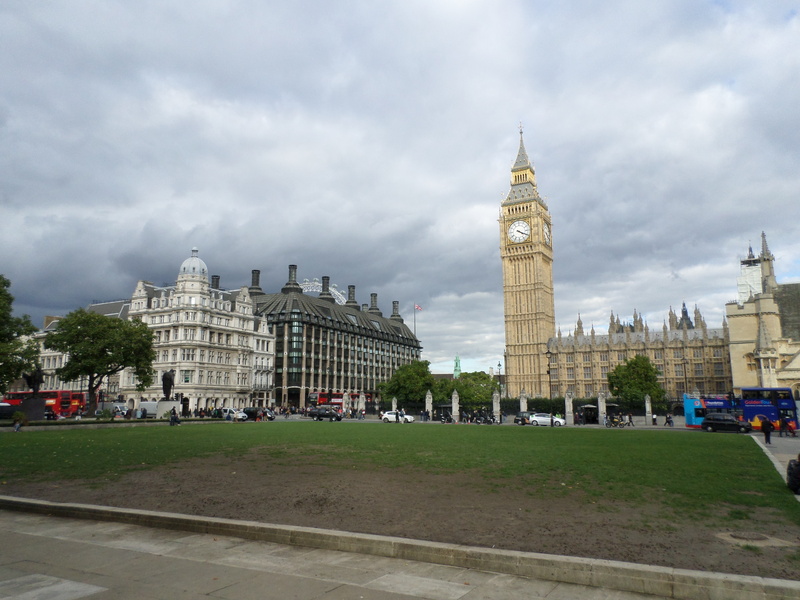 You can get a nice view of London from the area near Westminster, so don’t miss it! A panorama of the city taken from near Westminster. Hey, sun is important in London! You don’t always see it, so you need to take advantage of it.